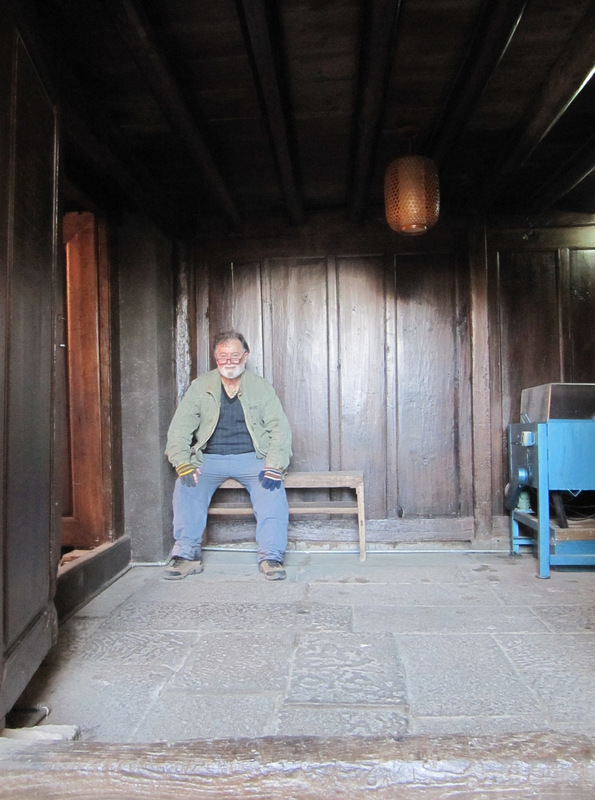 I hesitate to write about my observations of life in China. The boundary between my Western culture and Chinese culture has blurred. For example: when I arrived in 2003 everything was new and exciting and it was easy to spot the differences. Nowadays they are not so obvious. Nevertheless, this is what I will attempt to do here. This is important because the China that I read about in the western media often differs from the China that I experience. During the global financial crisis, when international agencies were predicting that China’s GDP would fall to 6% and that consequently there would be social and political instability, my eyes were telling me a different story. The China I was reading about in the international media was a different country from the one I was living in. The big-picture observers had got it wrong. Yet the same analysts who had failed to predict a financial meltdown in their own backyard in 2008 were predicting that China would be next. Wrong again. Now they are predicting a hard-landing for 2012. We’ll see. My point is that although a top-down, big-picture approach is necessary for understanding China, it is not sufficient for the task. You need a bottom-up approach as well, and that is where expatriates like me can make a contribution. I live in Chongqing, a huge municipality on the Yangtze River upstream from the Three Gorges Dam, 1600 km west of Shanghai. This is the heartland of China where, ‘heaven is high, and the emperor is far away.’ It’s a long way from the politics of Beijing, the commerce of Shanghai, and the professional China-watchers in Hong Kong. Very few waiguoren (foreigners) live here. Yet Chongqing is a microcosm of what is happening all around China today. Urbanisation: the migration of millions of people from the countryside to the city. Government policy aimed at improving the welfare of dirt-poor peasants who until now have never had a chance to alter their fate. And rapid economic development: the transformation of a stagnant old river town into a state-of-the-art metropolis with a population of 6.5 million and infrastructure and services to match. This is one part of the real China. And if we really want to understand this complex society, we should make the effort to view it and the outside world through Chinese eyes. Chinese culture runs deep, and if we want to unravel its mysteries (seen and unseen) we need to change our perspective. A note for the top-down analysts: if you don’t live in the provinces and mix it with the locals, you cannot claim to know China and the Chinese. This is where you will find all of those independent variables which should have been included in your big-picture modelling. I’ve lived in and travelled around the provinces for ten years and I’m still learning what makes this country tick. I wouldn’t dare write a book about China from a top-down perspective. Not yet, anyway. Some good news to build on: Chinese people seem to like Australians. I believe that the more my countrymen get to know the Chinese, the more they will like them in return. For one thing we share a similar sense of humour, and that’s a good place to start. It’s easy to get to know laobaixing (ordinary Chinese people) once you get a handle on a few simple cultural rules. Anyway, I have taken it upon myself to build a little bridge between both cultures. I do this via my daily life here in Chongqing, and my articles on life in China. I have a final topic to address: Politics. Now before anyone accuses me of being soft on communism, let me state here and now that I am a democrat. What I want to do here is challenge our own media to lift their game and improve their commentary on China. We expect biased reporting and propaganda from a Chinese media which is controlled by the Party. The result is that nobody, including ordinary Chinese, takes it seriously. That’s why a free press is so important: we usually get to hear both sides of an argument. Why then do we devalue this ideal by focusing on the negative aspects of Chinese politics and government? Why is there a refusal to give credit where it is due? For example; like it or not, the Chinese Communist Party has lifted millions of people out of poverty and put them on a path to a moderately better lifestyle. A significant human rights achievement in anybody’s book. Yet few commentators acknowledge this fact. Let me continue: If you were the President of a nation which contained 20% of the world’s population; 56 ethnic minority peoples; multiple borders with other countries (some friendly and some not); and which had a humiliating history of foreign occupation and a self-destructive history of social and political disintegration; how would you govern? If you had managed to guide this unruly giant through the early difficult years of civil war and multiple political, social, and economic crises, would you hand over the reins of power before the development task is complete? If you had to harness the competing interests of various factions and direct their energy towards the national good rather than their own selfish agendas, could you do it with less executive power than the president of China and his Politburo wield today? Point: China walks along the edge of a precipice. It’s a dangerous journey. We (the West) need to understand how easy it would be for the Chinese state to collapse and disintegrate. A look at history should explain why this is an ever-present worry for China’s leadership. That’s why more money is spent on internal security than on external defence. More questions: Is the Arab Spring a model for China? Don’t bet on it. Has the Arab Spring set a good example? No. One would think that newly independent smaller societies should make the transition from dictatorship to democracy much quicker and easier than a large society such as China. The fact that they haven’t done so yet, and don’t look like doing so for awhile is instructive. There is always the risk that one faction or another will gain power by less than democratic means. China is watching closely. But China will never risk 30 years of measurable progress and future prosperity by tipping the system upside down for a democratic ideal. The risk is not worth it. Sure, the central government is creating a problem for itself in the future by not allowing even incremental democratic change. Right now their only instinct is self-preservation. In my opinion, barring economic catastrophe, it is more likely to entrench its power further. We might end up waiting another generation for top-down change. Either that, or one day the poor and the disenfranchised will coalesce and there will be another revolution. At the moment however, the peasants are unorganised, the intellectuals are cowed, and the middle class has its snout in the trough. Until the latter experience some economic pain, there will be no serious bottom-up demands for change. The older generations remember the warlords, the anti-Japanese war, the civil war, the Great Leap Forward, and the Cultural Revolution. Although they might complain about corruption and injustice, unless there is an economic catastrophe, Chinese people will accept this political reality and make the best of it. A rational fear of social chaos underlies this mind-set. In my opinion, western style democracy is unlikely to take root in mainland China (despite its success in the island of Taiwan). The best we can hope for is some kind of benevolent central government which is based on Confucian ideals rather than foreign socialist ideology. Chinese people would be more likely to accept this traditional home-grown model. I mention these controversial matters in order to put some balance into opinion on China and to provoke some independent thinking in my countrymen. No, I haven’t abandoned my own culture and gone native. I have just adapted to my local Chinese reality. The only way to survive in a foreign culture, especially China, is to be proud of and to maintain your own cultural identity. Otherwise you lose yourself. You have to be internally tough to survive in such a strong culture. But I am not sure where my home is anymore. Maybe it is on that bridge between cultures that I mention above? One end of the bridge is anchored in Australia with family and old friends. But my memory of Australia is ten years out of date. Time and life have moved on. “The past is a foreign country: they do things differently there,” said Hartly in his book titled ‘The Go-between’ (1953). The other end of the bridge is in China. My home is here also. Embedded in mainstream Chinese society out here in the hinterland. I will always be treated as a foreigner though, no matter how many years I spend here. My conclusion? Family is my country. Wherever they are, that is where I belong. Since living in China, I have travelled much of the country, read more about its history, appreciated its arts, admired its civilisation, and so on. I have also experienced the bad side of this society as well as the good. Believe me, that’s how you really get to know a place, folks. China is an enigma to foreigners, and after eight years of peeling back layers, I feel that I am just beginning to understand this place, its people, and its values. You can’t know an ancient civilisation in a few short years, and you can’t know it from a top-down perspective alone. You also need a boots-on-the-ground bottom-up perspective to know how much you don’t know before you can claim to know anything. Daily life in a nutshell on this end of the bridge. A bottom-up perspective. A counter to the top-down reporting and analysis from foreign luminaries in Beijing, Shanghai, and Hong Kong. Anything that doesn’t combine both perspectives is cultural fluff. The kind of stuff which misinforms whole populations, and perpetuates prejudice. Mind you, the Chinese do this also, but I think you get my point: we have an uncensored media and should expect better from it.